You can start the numbering of sales orders, invoices, shipments, credit memos from any number with prefix. It will be helpful if you migrate your store from Magento 1 or other platforms to Magento 2.x, or if you need to change numbering to keep business information safe, or if you have multiple stores starting with different prefix. Customer usually like to purchase from those store who has a large number of customer. Customer often judge store sailing quantity by order number. With Custom Order Number extension you can start your order from a higher number and also set increment step to higher number. That will provide you with new customer and their trust. With help of this extension can set your invoice numbering system satisfy your need and your jurisdiction requirement with couple of click. Also if migrating from existing store to Magento then if Magento could follow their numbering system and start from that store last order number than that would be easier to adopt and useful. Our Custom Order Number extension introduce you to all of those functionality in one extension and make you Magento store better. With help of this module you can keep your business info safe and private. You can set the custom increment step to hide real number of order from prying eyes. 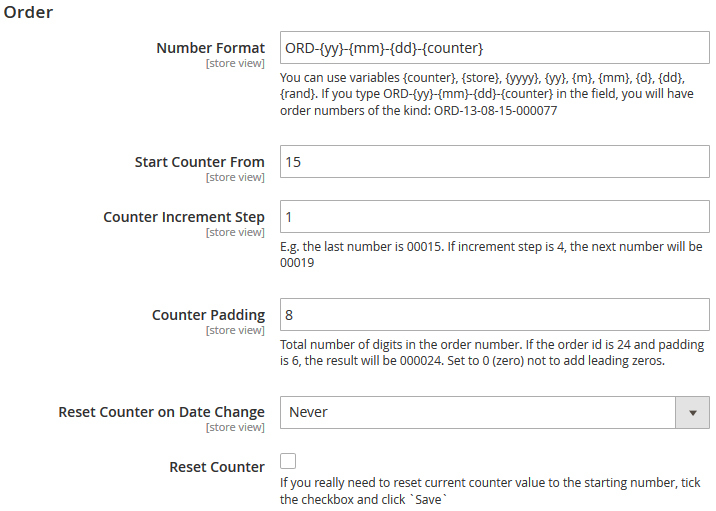 If you change starting order number and set increment step, this extension will change all order number accordingly. Using this feature you can keep you actual order information private and internal. 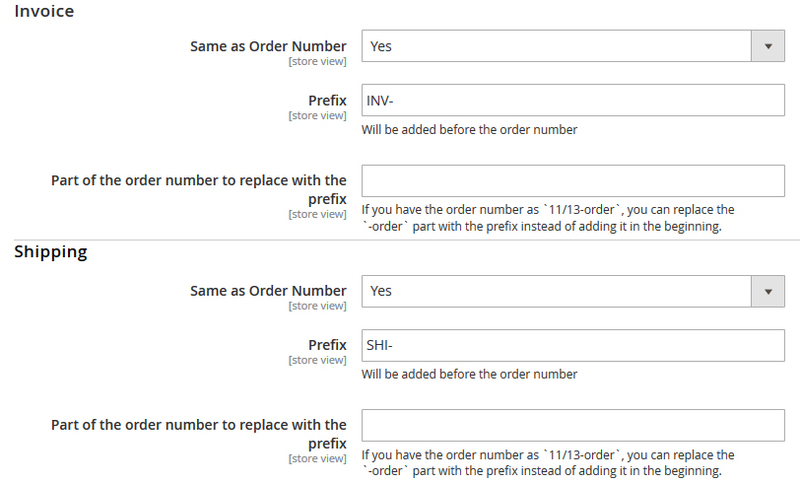 You can set order number prefix, postfix even can use custom text in the middle. You can also you order time as number. This feature allow you to set numbering as your heart desire. You can also set the number of digit will take as counter. If you set padding to 3 and if you have a order starting with 5, then its number will be 005. Your rating is important for other visitors !